Over the last few years, policy frames like fake news, government conspiracies, the deep state and alternative facts have left societal fringes to form mainstream narratives. Many people may feel these types of transitions to be novel, even tempting, in contributions and occurrence. However, new policy narratives routinely arise and follow certain patterns. Any radical challenging of commonly-held civic norms prompts new discussion of how frames create narratives in public policies, and perhaps more damning, in public administration itself. A question to first consider: what exactly is a policy frame? Policy frames consist of extended sets of arguments that coalesce into a grouping intended to serve as collective reactions to public policy problems and issues. Scholars have established five criteria points to frames: 1) the validity and verifiability of the underlying argument’s propositions and premises; 2) the sophistication and eloquence of its evidence chains; 3) the underlying ethical considerations and implications; 4) the coherence of collectively associated values and beliefs; and 5) the utility of the suggested courses of action. But then, how do these frames emerge? Some experts have argued that frames result from reflective reactions to already preexisting environments in which policies originate. Others suggest that policy frames react from competing views regarding the concept of rationality itself. Some fields favor more scientific, evaluative perspectives toward public problems, such as policy analyses. More litigious and regulatory institutions endorse legal and arbitration-based policy approaches. However, still others contend that policy should remain relegated to the undefined pluralistic arts of politics. Essentially, policy frames function as policy paradigms within institutional contexts. New frames often only emerge in crises, quite literally in the case of policymaking. Moreover, the resistance to new frames usually stems from classic paradigm shift barriers: a new frame will only exacerbate the societal problems sought to remedy; a new frame will fail to have a significant different; or a new frame would endanger previous policy accomplishments. Public officials, social activists, and civic leaders need to craft stories to interpret communities’ shared experiences and reactions. Policy actors can also frame both within and about these issues and institutions in ways advantageous to their goals and objectives, the “spin”. Institutions and occupations often force scholars and experts to report on findings, design interventions, and develop ideas surrounding a litany of subjects. As such, policy frames act to distill and coalesce these experiences around shared discourses and logic chain patterns. Acting as a shared language, regardless of either validity or reliability, policy frames permit redacted systems of value chains in order to emphasize collective experiences. While framing is both inevitable and potentially useful for institutional actors and functions, have resultant competing policy and administrative narratives blurred the supporting institutions so much to evoke a Dark Age of Common Civics within the individual? Answering this narrative question requires addressing two contexts: first, the nature of conflicting frames; second, administrative legitimacy concerns about the purposes of governmental intervention generally. Policy frames serve as forerunners to public policy changes and upheavals, as they act as a type of cognitive policy. In a production sense, frames serve as both inputs and outputs because they can be controlled, like economic forms of capital, but also consumed, such as those frequent viewers on certain news outlets. Bearing this dualistic nature, policy frames are natural receptacles for like-minded individuals but also institutionally dependent institutions, agencies, and governments. Here, cognitive policy tools endanger system legitimacy due to the adversarial, privateering nature of governments. In today’s pundit circles, administrative legitimacy often implies a notion of whether government possesses the moral or ethical high grounds to engage in certain public actions. Debates on these responsibility tenets bear little relevance to actual narratives of administrative legitimacy. Individuals’ framing actions conducted under the guise of institutional legitimacies inherently undermine the integrity of administration broadly. Practices such as coordinated lobbying, government contracting, false public empowerments seem to distill governments’ capabilities to engage in providing public goods all together. Even in evaluating the academically accepted textbook history of public administration proves rather essentialist and coordinated, jettisoning many additional perspectives (and actions). 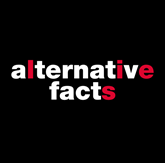 Now, some may interpret this article’s discussion to support notions such as alternative histories and facts. This is false. That frame implies a certain logical, ethical, and factual equivalence to any competing information; whereas, the point encompassed here is to consider the source, the rhetorical ethos, of information based upon criteria independent of one’s feelings or predilections towards any given policy. Failing to consider source integrities and subsequent fact patterns and merely adhering to cultural norms of information consumption leads to individuals losing control to habit loops and a higher likelihood of cognitive dissonance in daily discourse. The resultant collective dissonance effectively disrupts the ability of any actor, organization, or institution to promote rational, sound, and just policies. Author: Nicholas Mastron is a current doctoral student in Public Policy & Administration at the George Washington University, with a field specialization in Social & GenderPolicy. His email address is [email protected]. Follow him @NicholasMastron.